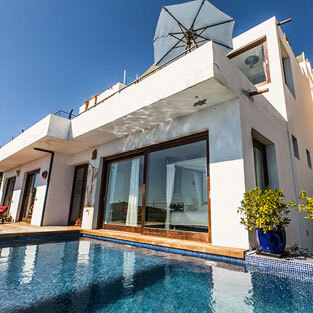 The urbanization of ROCA LLISA is situated half-way between Ibiza town and Santa Eulalia del Rio, in particular between the villages of Jesús and Cala Llonga. It is considered to be the best urbanization of the island, being an enclave of luxury and peace, of considerable contrast to the more frantic life style of the other centers of the island. The Roca Llisa Sea Side is built in a hilly terrain facing south-west, towards the sea. 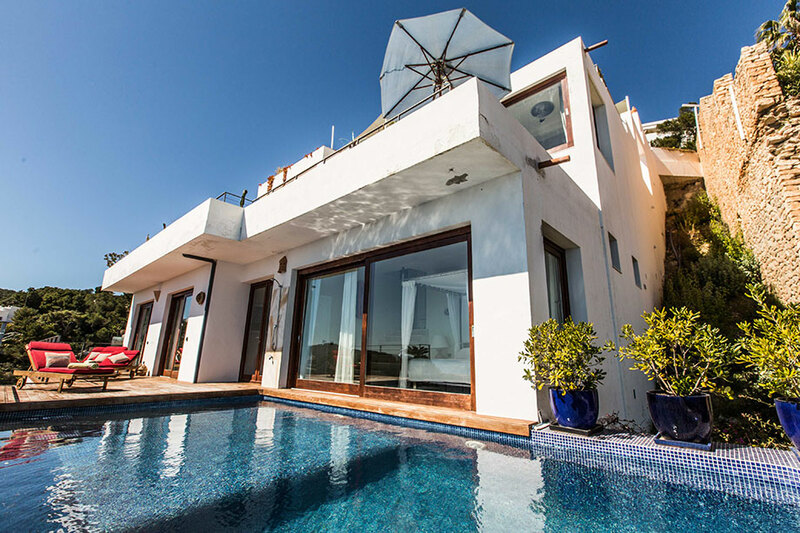 The houses in the area have been built on high gradient terrain guaranteeing the most beautiful views of the sea and the islands. 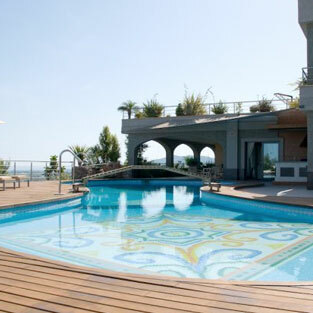 Villa Jade is distributed in four bedrooms and three different terraces looking the sea. We have at one level an open living room and kitchen with different chill-out and dining table and a library corner.The stylish designed furniture is colorful and match with harmony the white house. At one upper level house we have instead a living room & kitchen surrounded by glassed windows and wooden terrace with an infinity pool and different sun-beds. At a lower level we have four bedrooms with 3 bathrooms. The master bedroom and two of the double bedrooms have got sea view. Master Bedroom with king size bed (sea view). Bedroom 2 with double bed (sea view). Bedroom 3 with separated beds or double (sea view). Bedroom 4 with separated beds or double. 3 bathroom for the bedrooms (2 bathrooms en-suite). 5/10mn from various Beaches (Cala Olivera, Platja S’Estanyol…). 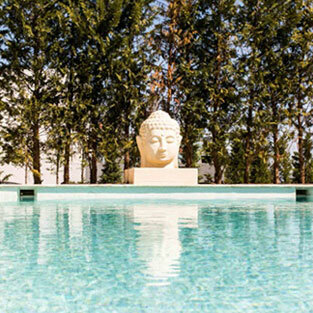 10mn to Ibiza Town, Marina Botafoch, Pacha, Lio, Destino. 10mn to several restaurants, supermarkets, day to day shops. 10mn from San Rafael (El Ayoun, Elephant, Privilege, Amnesia). 10mn from Santa Gertrudis ( Bambuddha, Aura, Atzaro). 10mn from Santa Eularia (Las Dalias Hippy Market…). 15mn from San Antonio (Café del Mar, Café Mambo).